All managed IT providers most certainly aren’t created equal. The company you choose to partner with will have a significant impact on the experience you receive. 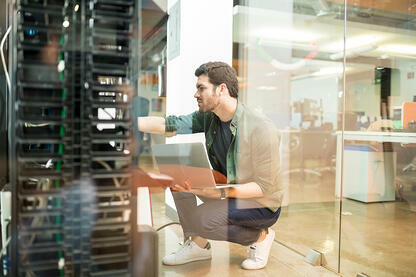 While most, if not all, managed IT providers will offer 24/7 network management and some flavor of help desk support, there is quite a bit more to look for when you compare IT service providers. Marco provides clients with the resources they can expect from a large company while providing the service and attention they would experience with a smaller company. We know no one likes calling big companies when they need assistance, but when you can interface with a small number of individuals while having access to hundreds of technical resources, your business gets what it needs while you get the experience you want. When you call Marco, odds are you’re going to get a live person on the other end of the line. In fact, we maintain a 98 percent live answer call rate. And when it comes to Managed IT, 72 percent of our tickets are call-ins. Making a phone call is the most prompt and efficient way to get support. How many large businesses can say that? Another issue businesses experience with managed IT providers is not being able to get someone on the phone who can assist with their issue and being transferred from representative to representative. This is especially true when you then have to re-explain your issue with each new representative. At Marco, 30 percent of our tickets are closed within the first team they talk too. Plus, when your ticket is transferred, we explain the situation to the next representative so you don’t have to. With the size and scope of our practice, we are fortunate to have numerous customers within all industries and verticals. 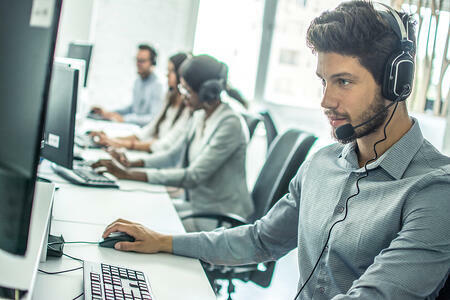 We use this circumstance to help shape our help desk teams so they routinely provide support to customers within the same or similar verticals and industries. We continually vet the technologies we provide to our customers. Take antivirus software, for example, we’re continually evaluating new and existing products to determine what’s the best in the industry. When products that better fit the needs of our customers become available, we make a change. And under MIT, changes and upgrades like swapping to a newer, better antivirus come at no additional cost to the customer. When you choose Marco for Managed IT, you’re going to receive IT support that benefits your business. We’ve structured our model to deliver IT without all the stress. Whether you’re looking for enterprise-level or small business IT support, you can count on Marco to get the job done with a proactive approach.